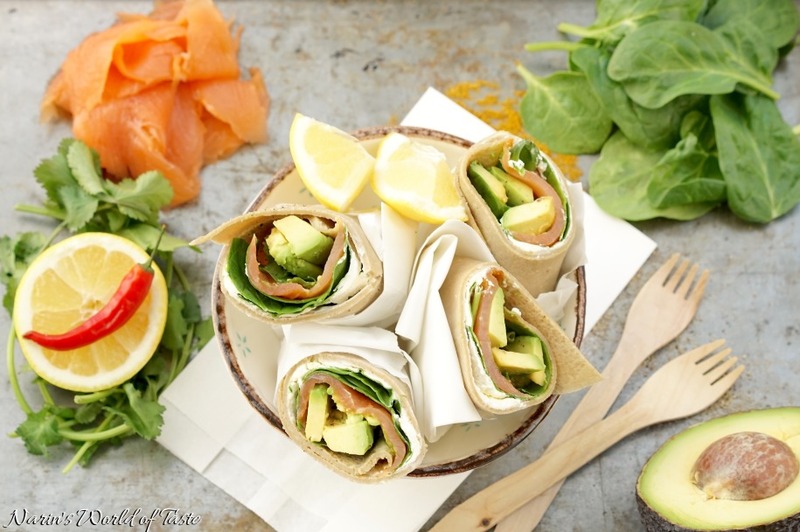 This is a delicious wrap filled with organic salmon, baby spinach, and avocado, combined with cream cheese, lemon, and cilantro. 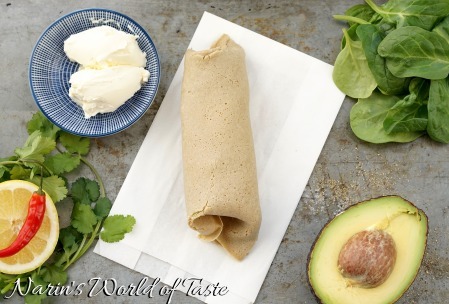 To add a bit extra flavor, I used my Buckwheat Curry Tortillas with their subtly nutty taste and a hint of curry. 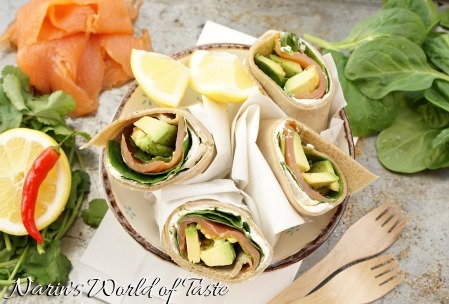 This wrap is great as a starter, light lunch or dinner, or to take along in your lunchbox. Note: I always try to buy organic ingredients, ideally seasonal and local. In this recipe, I used most of the ingredients from Delhaize Luxembourg. They offer a variety of organic and local ingredients. 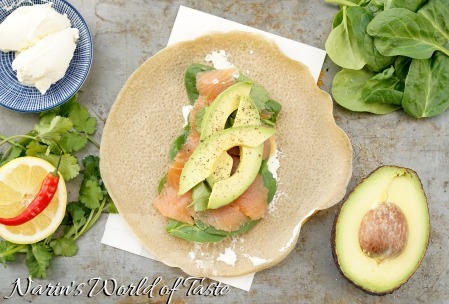 To make the wraps, spread some cream cheese on the buckwheat curry tortillas. 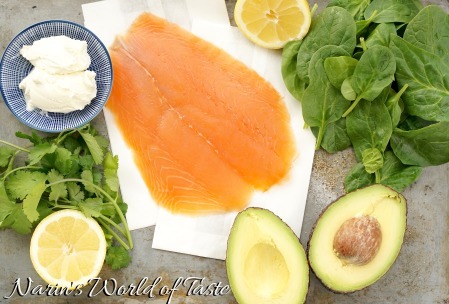 Add a handful of spinach, salmon, cilantro leaves, and a few avocado pieces. Drizzle some lemon juice on top and season with salt & pepper. Fold the ends and roll the wrap lengthwise. Slice the wrap in half and serve with some lemon wedges. You can also serve the wrap with some spicy sauce or chilis on the side, if you like. Note: the Buckwheat Curry Tortillas can be made ahead of time, but fill the wraps just before serving to prevent them from becoming soggy.